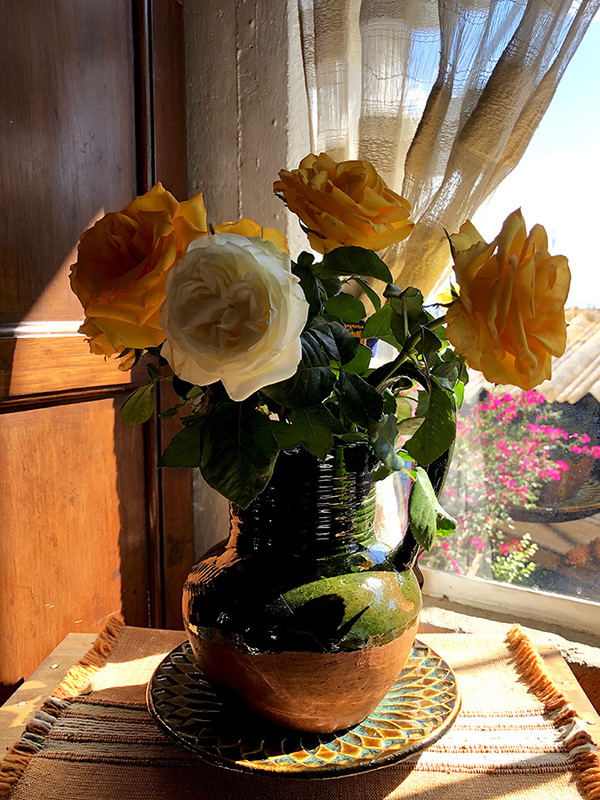 Day three of cut roses from the Mercado de Abastos. Gracias a Kalisa! 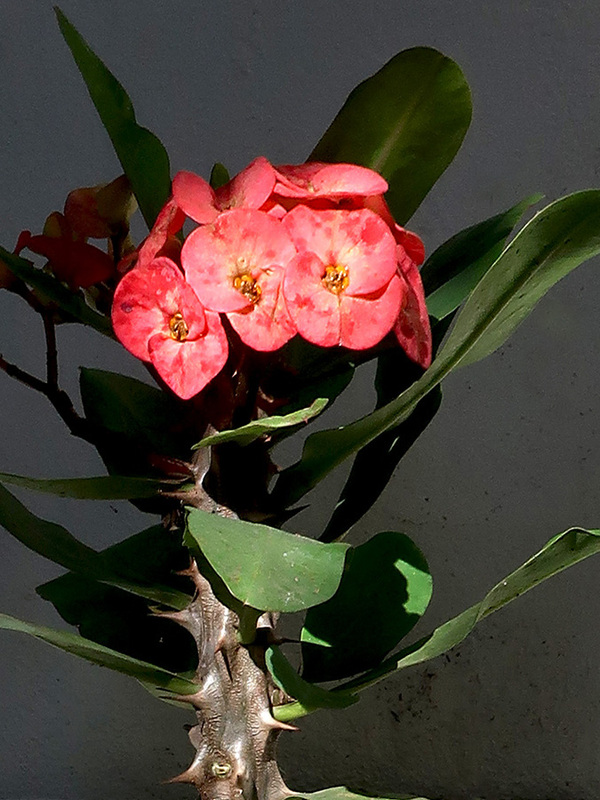 Crown of Thorns… new addition to the rooftop garden from the weekly Sunday plant sale in the Jardín Morelos. Winter may be coming, but there are always flowers blooming in Oaxaca. Hermosa…tienes el don con las plantas, Shannon! Thank you, Alana. Thinking of you and the SoCal fires. Are you okay? Me interesaría saber donde está el jardín Morelos para aprovechar la venta de plantas los domingos. Muchas Gracias por el post. Every Sunday beginning at 11 AM (más o menos) at Jardín Morelos — where Independencia becomes Francisco Madero, a block from the steps to Soledad and right before Soriana.